He is the little brother of Ritsu Kisaragi and the chilhood friend of Kanade. Although he acts like a rebel and tends to find things bothersome, he somehow always ends up taking care of Kanade. 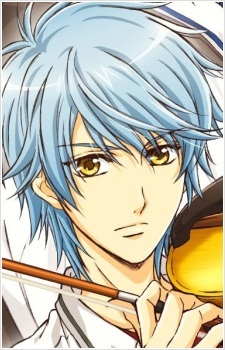 He actually wanted to quit playing the violin whenever he wanted, but when Kanade decided to go to Seisou and told him that he should come with her so they could play the violin together he accepted it.